The Animation Council of the Philippines, Inc. (ACPI), in partnership with the Game Development Association of the Philippines (GDAP) and SM, recently held the Animahenasyon 12: 2018 Philippine Animation Festival at the Samsung Hall at SM Aura Premier. ALL FOR ANIMATION. 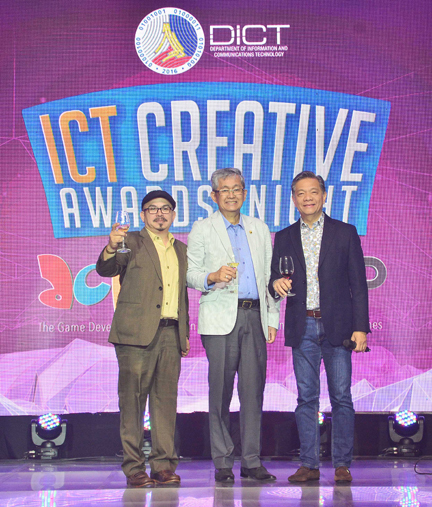 (From left) Alvin Juban, Game Developers Association of the Philippines (GDAP) President; Monchito Ibrahim, Department of Information and Communications Technology (DICT) Undersecretary for Regional Operations and Countryside and ICT Industry Development; and Juan Miguel del Rosario, Animation Council of the Philippines (ACPI) President. Animahenasyon, which is a combination of the words “animation” and “imagination” in Filipino, is an annual Animation Festival that aims to promote the country’s animation industry by showcasing works of both aspiring and professional animators locally and internationally. 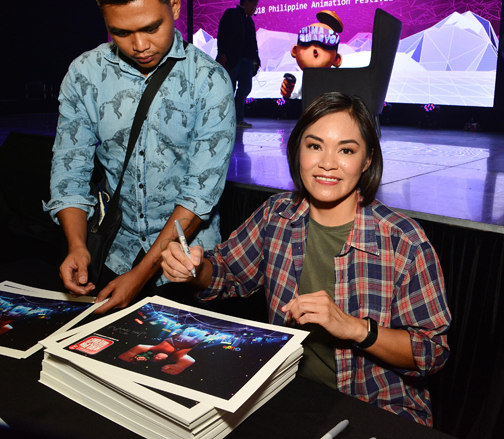 This year’s awards showcased the inspiring talents of Filipino animators with Love Bites by Carl Papa and Sober by DiKami Productions leading the way as Grand Prize winners in the professional and student categories, respectively. In the professional division, Love Bites by Carl Papa also received the Best in Storytelling, Best Technical, and Best Production Design awards. Princess by Simon Givenchy Loredo bagged the Best Regional Entry and Audience Choice Award; while the Best Non-Narrative Animation Award was given to John Paul Bonoan for his film Old vs. New. Meanwhile, in the student division, Sober by DiKami Productions also received the Best in Storytelling and Best Production Design awards. Area C by Jan McLloyd Sumagpang won the Jury’s Special Citation in Best Treatment of Subject Matter. Tiny Gale by Jeremy Sulit won the Best Technical Award, while Dare by Camille Louise Balete got The John Martin Award and the Best Non-Narrative Animation Award. The Game Developers Association of the Philippines (GDAP), on the other hand, recognized young game animators. The Game of the Year was awarded to De La Salle – College of Saint Benilde for The Yellow Boat. It was a shining moment for the De La Salle College of Saint Benilde with its entry Tulak winning the Best Game for Many, Best Game Art, and Best Narrative/Story; while Periculum got the Best Music and Sound Design. In addition, Jank Fu by De La Salle University won the Best Innovation. Mutual by FEU Institute of Technology received both Best Gameplay and Best Mobile/Handheld Game. Moreover, Furtive by iAcademy got the Public’s Choice Award. The Animahenasyon 2018 Festival and ICT Awards Night is one of the many exciting creative events at the Samsung Hall in SM Aura Premier.